South Korea best every country on the planet in education, again in 2016. By out ranking its closes competition for over the last three years Japan, by 3 points. South Korean student’s college graduation rates are the highest in the world (69%). And their 10 and 14 year olds overall international test scores in math, science and reading are second. The only area of weakening in their education system seems to be affordable early-childhood enrollment for children 3 to 4. Each year, tenths of millions of new workers enter the global economy. Each group of these workers represents their country’s strengths and weaknesses in every day society. To bring this point home more clearly, without a strong foundation to develop and prepare a future workforce. Countries would be living in weak economies that will result in higher crime and poverty rates. That destroys human lives. Look at all the poor countries in Africa for an example. Countries like South Korea, and other major Asian nations, realize prevent is the best solution for the here, now and the future. By concentrating on building a strong education system, they are creating a workforce that will sustain their economic growth. NJ MED (New Jersey Minority Educational Development) is a member of the United Nation’s Economic and Social Council of NGOs (Non-Government Organizations). The purpose of ranking and monitoring 193 country members of the UN, and sixteen other nations; is to help identifying the weak areas of nation’s education systems for students 3 to 25 year olds. And to annually and quarterly report on the world’s best 20 countries education systems, on how they prepare children for school entrance, through early-childhood enrollments. Student’s development in critical thinking, problem solving and comprehension skills for 10 to 14 year olds, through Science, Math, and Reading. The last two levels of reporting on educational development focus on the task and social development in high school completion rates for students 14 to 19, and the number of students seeking higher skilled careers through college completion rates for 18 to 25 year olds. The statistical data gathered to develop the ranking system is compiled from 6 international organizations – the Organisation for Economic Co-operation and Development (OECD), Programme for International Student Assessment (PISA), the United Nation’s Economic and Social Council (UNESOC), The Economist Intelligence Unit (EIU), the Trends in International Mathematics and Science Study (TIMSS) and Progress in International Reading Study (PIRLS). Then send to each country’s Ministry of Education Department to assure the data is accurate. Each country is then, ranked in five educational levels: early-childhood enrollment rates; two Primary levels- (5 to 10 year olds) Math, Science and Reading scores; (11 to 15 year olds) Math, Science and Reading scores; High School Graduation rates, and College Graduation rates. Each level consists of ranking the top 20 countries in each category. By giving a country 20 points for a first place rank, 19 for a second place rank, and so on down to 1 point for a twenty rank. The data, is then used to produce the nation’s ranking from a combined score from all five levels. South Korea outperforms Japan to remain number one in NJ MED’s final rankings for 2016. Japan, for the third year in the row finishes second. Russia’s education system has moved up two places from last year’s rankings, to number 3, and now represents Europe’s best education system. Singapore’s education system remains as the world 4th best. Again, their primary level student’s international test scores in Science, Math and Reading, rank number one in the world. Finland, considered by most educators, as having the world’s best education system. Reach their highest ranking in the Poll system, to number five. The United Kingdom fell three places to number six. While, the United States rises 10 places to number 7. Their biggest improvement came from international primary test scores. Denmark moved up three places to number 8, and China advanced 4 places to number 9. The Netherlands remains at number 10. Israel’s education system drops out of the top 10 position for the first time, in four years, to end number 11. Canada also fell out of the top 10, to number 12. While Germany and Hong Kong, moved-up one place from last year, to number 13 and 14. Ireland dropped seven places from last year’s ranks to number 15. Norway has returned to the top 20 rankings this year, after not making the ranks last year for the first time, and finish number 16. Slovenia also returned, to rank number 17. The last three ranked education systems are led by first-timer Sweden, who were projected to finish number 18. Which they did accomplish, followed by France that was ranked number 19. Hungary’s education system also made the ranks for the first time and round out this year’s top 20 ranks, at number 20. Is South Korea Really the Best? 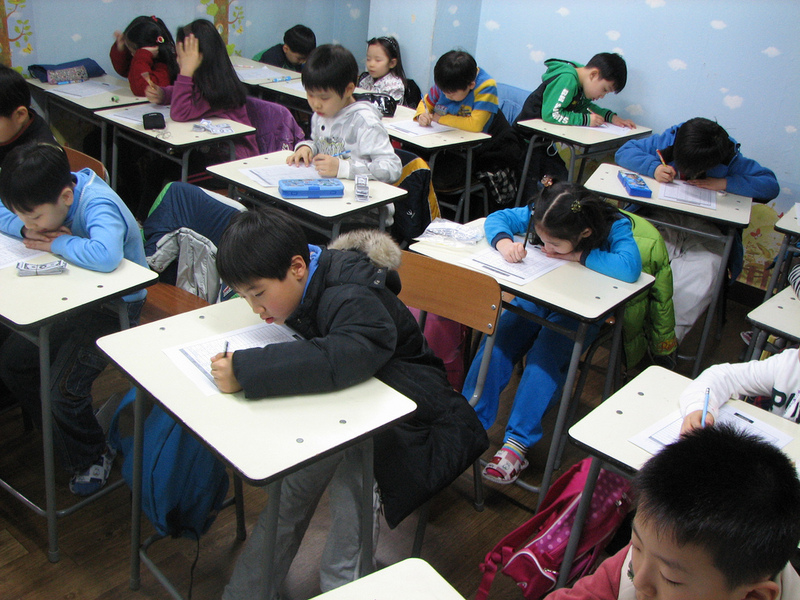 In the last three years, South Korea remains the world’s best-educated country. Some educational expertise argue, that the countries focus on test taking is not really a sign their children will become successful later in live. The expertise point out, the stress created to do well on standardize testing has caused poor social skill development for students went they become adults. (South Korea has the world’s second highest suicides rate, and the highest among developed nations). Do you agree with the expertise? What is your opinion? Please leave your comments below.